Kristen Johnson, better known by her stage name Lady Houdini, is an escape artist who is considered by many to be the world’s leading female escape artist and performs for crowds across the world and on television. However, she was reportedly unable to escape injury resulting from a recent car accident. She canceled a series of performances after she suffered personal injury as a result of a car crash, according to a recent news article from the Sun Sentinel. Johnson’s accident involved her vehicle and one other and occurred the evening before she was scheduled to do a show in Florida. At that show, she was supposed to perform an escape from a clear “water torture cell” in full view of the audience, as well as an escape that involved her hanging upside down and wearing a straight jacket. These are, of course, the same or similar types of escapes made famous by the legendary escape artist Harry Houdini. One of the most important things you can do after being in a serious car accident that was not your fault is to call a Boston car accident attorney as soon as possible. There are a variety of reasons why you should not wait to seek a consultation with an attorney. One of these reasons is because, if you wait, the insurance company will likely contact you, and they will ask you a series of questions which you may not know how to answer. They will also likely ask you to make what is known as a recorded statement. The recorded statement is so that they can speak with you at a time when you are still in shock from the accident and lock in your answers. They intend to use this information against you should the case ever go to trial. You might be asking why this is a problem, since you intend to tell the truth about your injuries. The problem is that they will ask you about the extent of your injuries immediately following the accident. 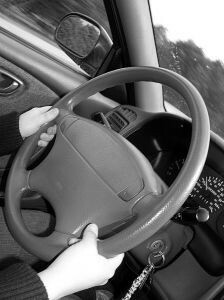 They know that many injuries do not become fully apparent for some time after the accident. As we all know, after an injury, bruises may not get bad until the day or two following the accident. However, if they ask you right after the accident how you feel, and you don’t say you are in pain in your arm for example, they will use this to challenge your later claim that your arm began to hurt later, even though you are being completely honest. The reason they do this is because they are a huge company that makes money by collecting premiums and avoiding paying out claims after serious car accidents to the fullest extent possible. You want to make sure you have someone on your side fighting for your right to a full and appropriate financial recovery. Another issue deals with getting treatment. Your Boston car accident lawyer will be able to make sure you are following up with your doctors and getting the appropriate treatment. If you wait too long, the insurance company will often claim that the gap in treatment should reduce your claim. This is not always an effective tactic, but it is certainly an argument the insurance companies like to use.